Lifetime map updated FOR FREE, we have preload latest maps of US and most countries both North & South America for your sat nav, If you want to update the map, please contact us and we will provide website for you to download. Built-in 8GB Memory, 7 inches 800*480 TFT LCD touch screen. Sensitive and quick respond to slight touch. 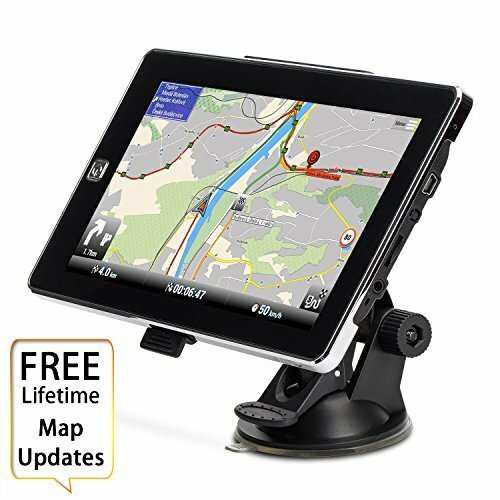 The package includes a car GPS with car charger, back bracket & mount. The navigating software could run memory card directly, more faster than average GPS navigation. Entertainment features help you to relax, music, movie, games, makes the device more of fun. If you have any questions about this product by HighSound, contact us by completing and submitting the form below. If you are looking for a specif part number, please include it with your message.